Let us calm your nerves and help you manage your tax issues. Every tax situation is different. What happens when your spouse failed to report or under-reported income or claimed an improper deduction on your tax return without your knowledge? The only recourse you may have is Innocent Spouse Relief, which ensures you are not held responsible for a tax liability created solely by your spouse without your participation or knowledge. As a married couple living together, it makes the most sense to file a joint tax return because of the beneficial tax credits and deductions you receive to help lower your tax bill. When filing jointly, however, you and your spouse are equally responsible for the tax bill plus any interest or penalties that result from not paying the bill. Furthermore, both taxpayers are equally responsible for additional tax liability in the event of an IRS audit—even where one spouse earns all of the income and the tax is solely attributable to that spouse and even after divorce and no matter what your divorce decree says. If you get divorced and your ex-spouse is, according to the decree, responsible for the tax bill, the IRS will still collect against you, and you then have to take your ex-spouse to civil court for a claim against them. Unfortunately, it’s not uncommon in marriage for one partner to handle the finances and taxes while the other is completely unaware of problems or concerns until the day they are served with a federal tax lien. You filed a joint tax return with an understatement of tax that is solely attributable to your spouse’s failure to report or under-report income, or claim an improper deduction on your tax return. You establish that at the time you signed the joint return you did not know, or have reason to know, there was an understatement of income. You provide proof that it would be unfair, considering all facts and circumstances, to hold you liable for the understatement of tax. The IRS will notify your spouse or ex-spouse and allow him or her to provide information about your claim—while still protecting your privacy. Innocent spouse relief cannot be granted to taxpayers who filed a joint tax return with a balance due but not paid. It does not matter if the income resulting in the balance due belongs to your spouse and not you. If you knowingly signed a tax return with a balance due, you will be responsible for paying that amount plus any interest and penalties. However, if you filed a tax return, with or without a balance due, and later the IRS determines there is a deficiency or understatement of tax that stems solely from your spouse or ex-spouse, you may still qualify for Innocent Spouse Relief. The forms and red tape required to navigate these tricky waters often mean that an innocent spouse becomes responsible for debt they did not incur. 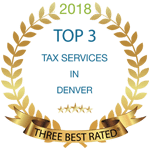 At True Resolve, we understand the complex IRS policies around innocent spouse relief and have the professional expertise necessary to adequately assess your liability. Unlike an attorney, we are licensed to work directly with the IRS on your behalf.